Our very first directory WordPress theme centered around events. Event Guide is ideal for founding your own online business. Maybe you would like to house event managers and their venues for a small monthly fee? Users can filter through events using our brand new interactive mini-map. Event Guide is packed with unique features like filtering events based on user’s current location and its type, custom made event filters and much more. 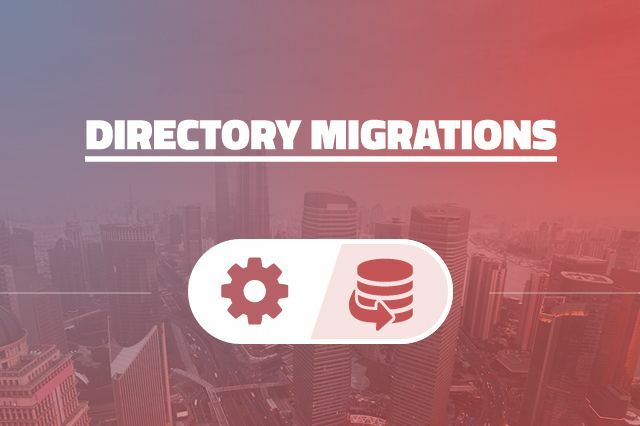 And yes, it’s ready for any other kind of business that can utilize directory theme including events. 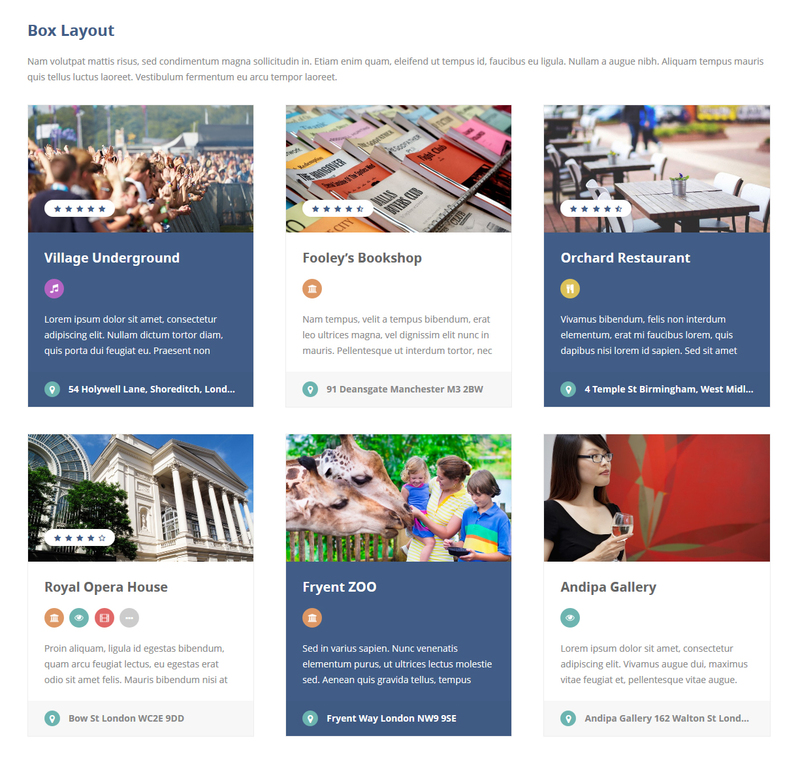 Event Guide is not just another WordPress theme, it’s a set of tools we’ve crafted to provide you with an opportunity to start your own business. Take your event venue to a whole new level. 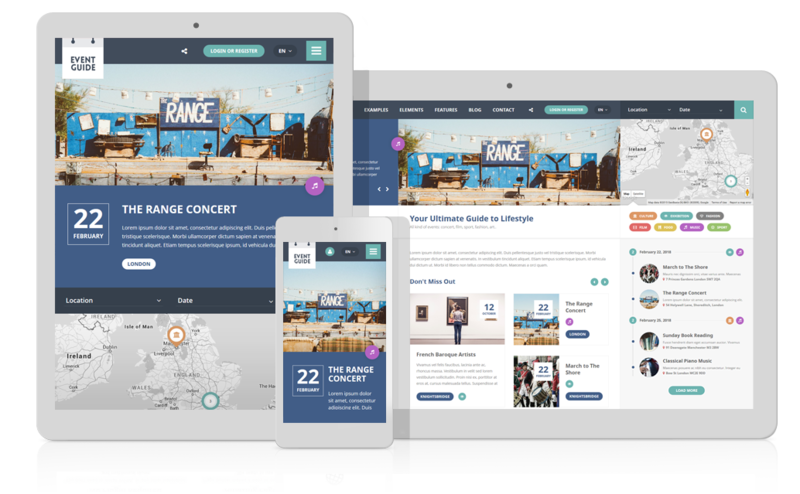 Event Guide gives you access to features that will redefine how your customers explore events online. Take advantage of the opportunity to save a lot of money. We have spent a thousands of hours on analysis, design and development. Bespoke solution would cost more than $10.000,00. Let your users create their own events and link it to the profile of their event venue or other business. Events Pro plugin enriches event pages with key information about date, time, place and price of an event. Users can make events recurring and visitors can share with ease. Even though it’s pretty much all you need, we’re going to keep updating Events Pro with many more features. Events Pro plugin is not included in Event Guide theme. Plugin needs to be purchased separately. 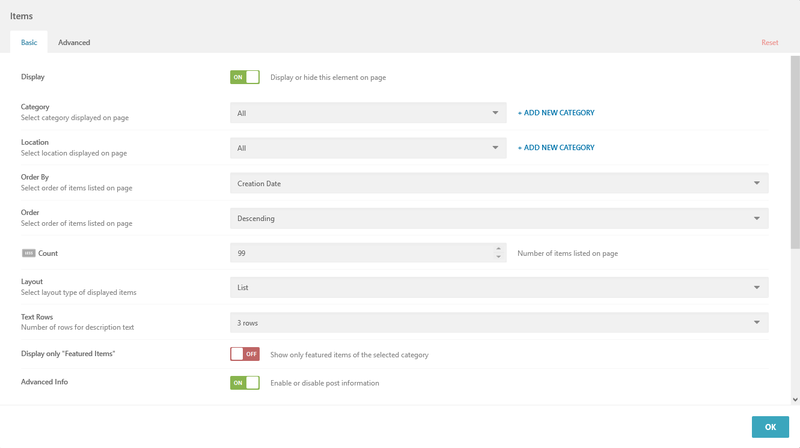 Thanks to Page Builder, you can easily display all events on any site you want. 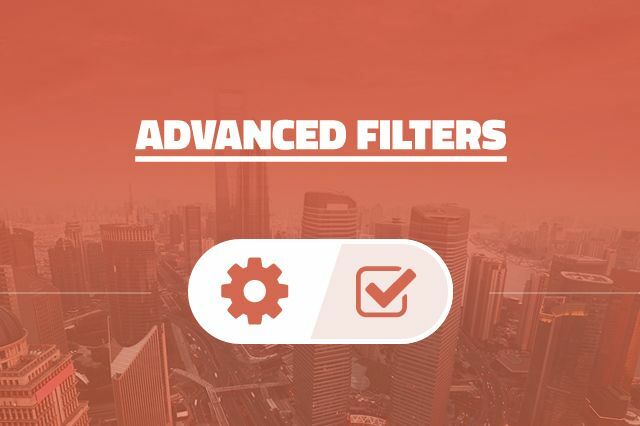 You can choose whether to display them individually or in a certain numbers, based on its category or location, or without a filter at all. You can even manage what kind of information will be displayed. There are several visuals ready at your disposal. All of this is just few clicks away. 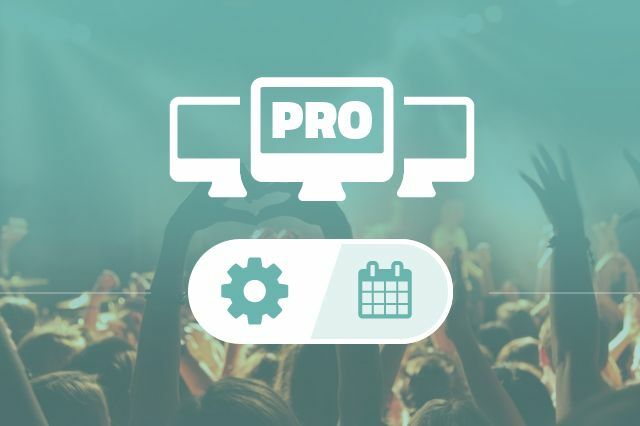 Events Pro element is a part of Events Pro plugin which needs to be purchased separately. We designed Event Guide’s header to provide access to several key features both for admins and users. 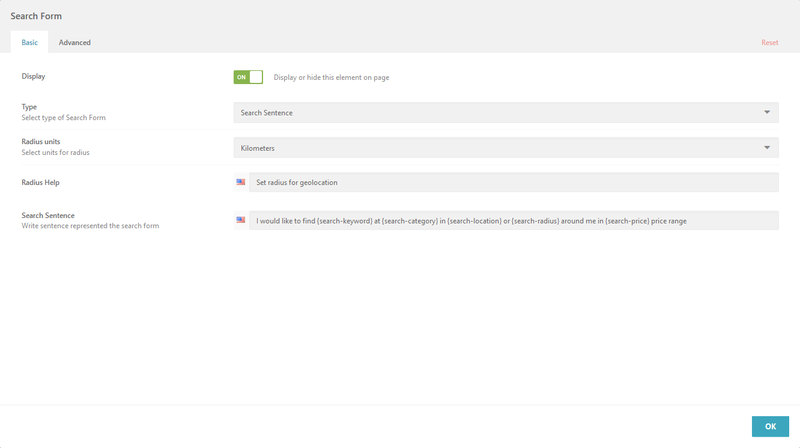 You can enable easier header search on each page respectively. Thanks to Page Builder and predefined Elements, you’re free to shuffle page’s content the way you like it. Layout is especially designed for displaying events. Timeline displays upcoming events in chronological order. It’s available on every page and it adjusts to its content. If you decide to use Timeline on a page under “Music” category, only respective events will be displayed. 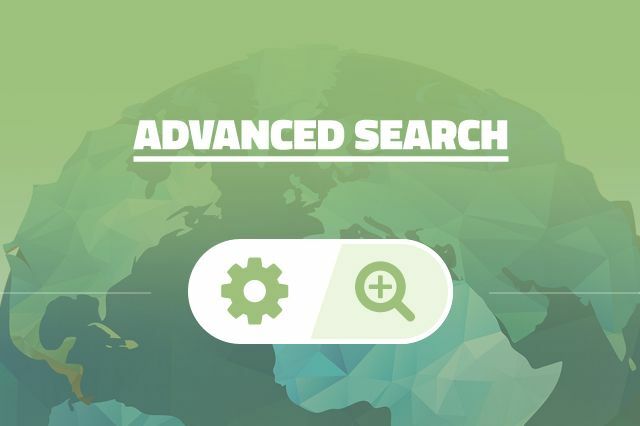 You can search by keyword, category and location. Additionally you can turn on geolocation and the radius of searching around your position. It’s so simple to find nearby events. We support units in kilometres and miles. There are two types of search bar available: classic one and one with the fields formed as a sentence. Result shows the matching items in the list with filtering options. Items and events are categorized into categories and locations. You can have as many categories as you wish as well as their subcategories. You can assign it any icon, color, map icon and description. Locations work the same way. 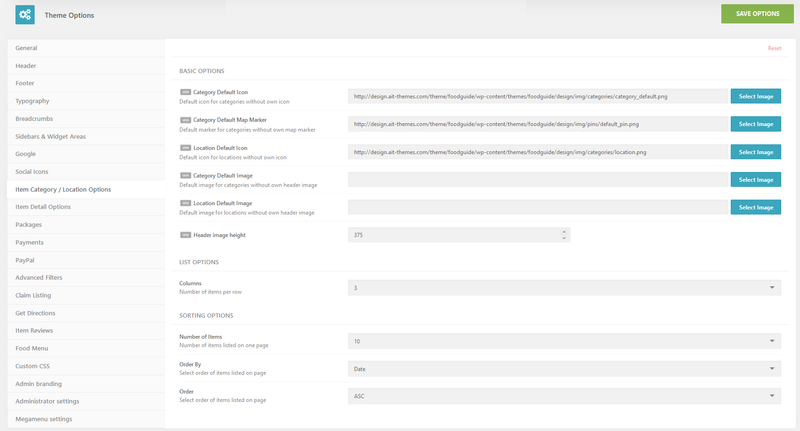 Category detail can have 3 types of header: map, image or none. Hi, where can I please edit in the Event Guide-Theme in the Free Version Events and Location and the slider? And how can I get the map in the header? I would like to test this theme because I`m going to have this theme maybe as a cityguide-Theme. 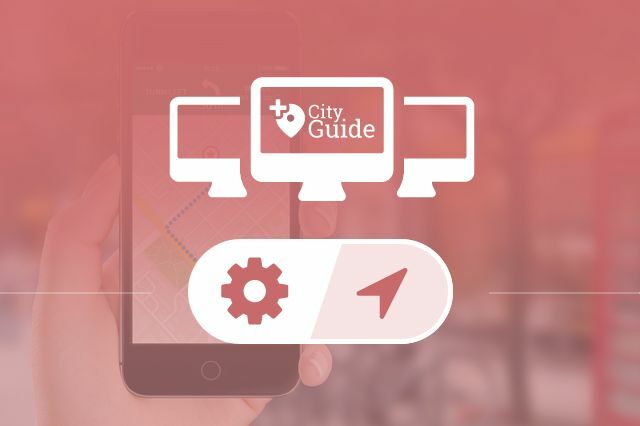 Or do you have a cityguide-Theme stuctured like the event guide-Theme? I am comparing your Event Guide theme + plugins to Templatic’s offerings Eventum theme + addons. You are less expensive at $99/yr for everything. How would you compare yourself to them? Why should I go with you? Thanks so much and sorry for questions… I just cannot make the wrong decision for my client. It’s hard to say as it mostly depends on your client’s demands and requirements. I would like to advice you to have a try all of our products. 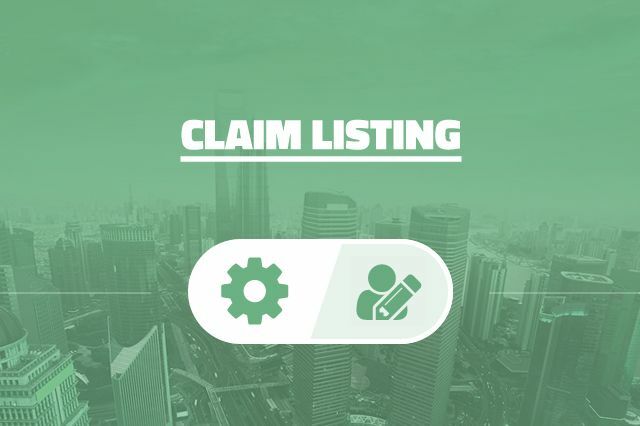 Although Full demo admin is not available, you can have any of our products (from http://www.ait-themes.CLUB) at no risk as we offer 10 days of money back guarantee. 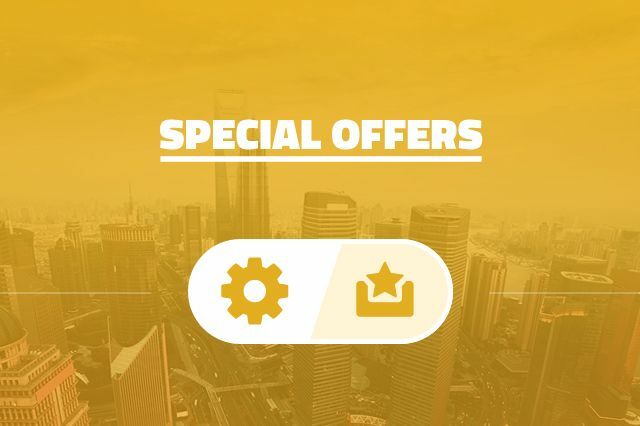 You can play around with the theme, plugins etc, and once you are interesting to upgrade your subscription into Full Membership – no problem, you can do it within 30 days by paying the difference between the prices. 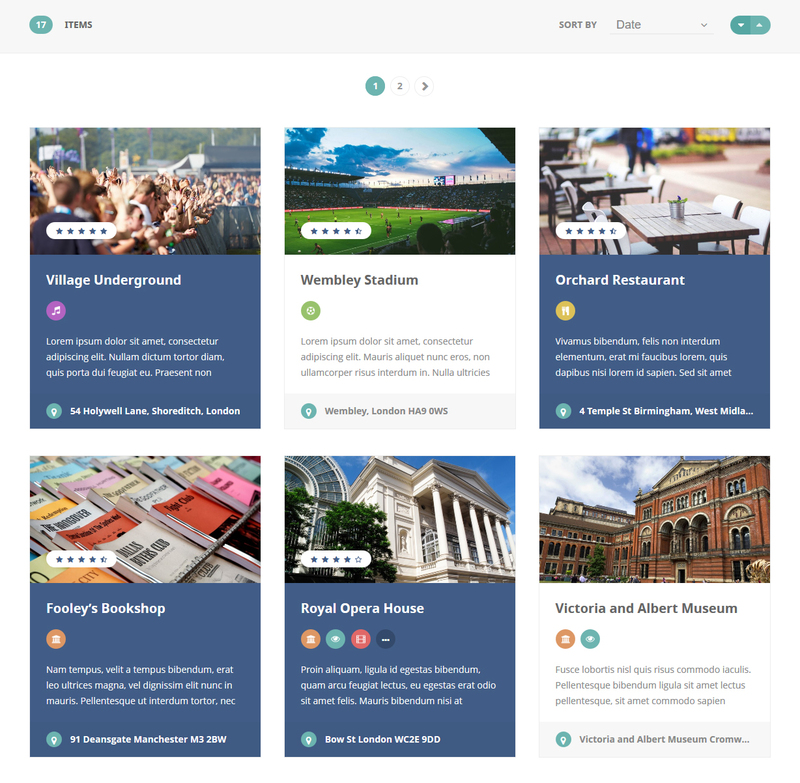 is this theme good to use for travele /tours? thanks for asking. It mostly depends on your demands regarding travel/tours portal. 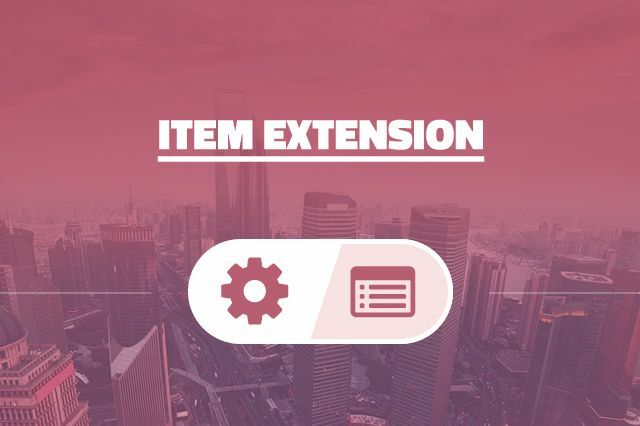 Event Guide theme is extendable with Events Pro plugin thanks to which you can search not only for items custom post types but also for event posts. For detailed info please have a look at the documentation: https://www.ait-themes.club/documentation/. does the theme come with booking feature? If i will purchase the full membership USD 99 will the the themes be delivered to me with all the features (free and paid/premium) without exclusions? Is you price includes installation and setting up of the demo data? for how long is your support (means free updates)? In case that in future I will add some features in the theme, once you will release a new update (e.g. fix of a bug etc) will the feature I added be affected or the design? Looking forward this time to hearing from you! hi, is the event guide theme supporting rtl ? thanks for interesting in Event Guide theme. We are sorry, RTL design is not supported by default. Do you have plan to have RTL languages support? thank you for asking. We are sorry, we have no plan due to no experiences with RTL design. Hi, i bought this template months ago and have a full membership. i just saw in my email account that i can turn on and off a renew automatic. when i paid 69$ it is yearly? what is gonna happen if i don’t renew? thanks for asking. Yeah, there is such an option for recurring payments. The renewal price is still the same as the price that you have paid for the product. After one year you can continue using our product/s even you have not prolonged nor renewed your subscription, no problem. Is the Events Pro Plugin & Food Menu Plugin included in the “Full Membership Offer” ? Can we create agents with their own username and password to publish tours & events? or can we create paid membership to publish listings? Looking for the Event Guide Theme in combination with Event Pro plugin. What I don’t see is that visitors can subscribe or register to an event, paid or not. And if the visitor subscribes to an event, the creator of the event gets notified of the subscription. I tried to login/register via the demo to find out the options but it was not possible to register/login. thanks for asking. Events Pro plugin should be connected with a 3rd party ticket portal or with a WooCommerce product by using WooCommerce plugin. Maybe I misunderstand the difference betweens users and visitors. As I understand it, the users in the Event Pro plugin are the ones that create the event. But I’m also looking for the possibility that visitors attending the event can register on the website and subscribe to the event. And the admin can keep track of their subscriptions. Buying tickets is also a nice option. So is the visitor part also part of the plugin? 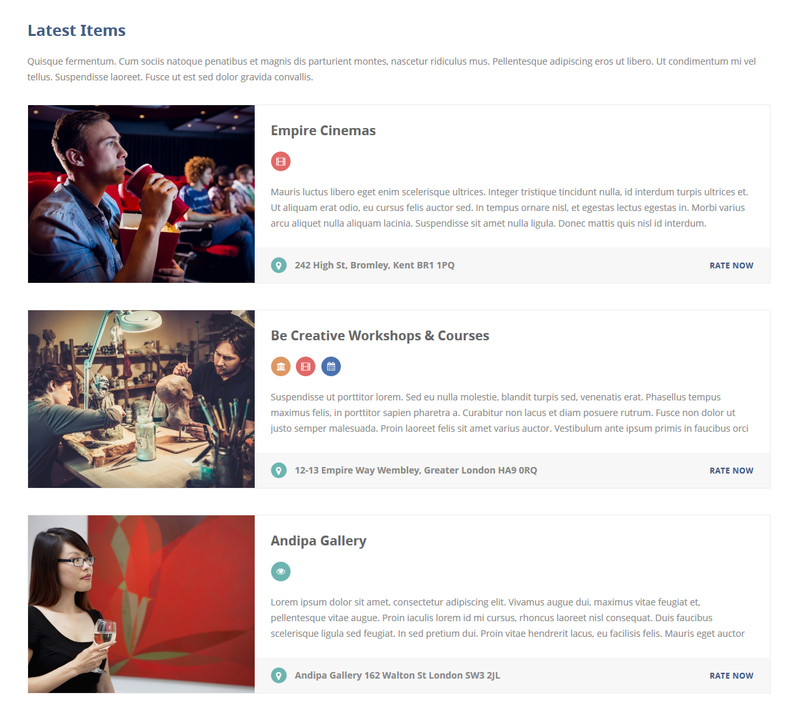 I m interesting EVENT GUIDE- wordpress theme. Single Theme – 69$, Full Membership 99$. I want to know How much is its total price with all plugins ( Full Package) . Could you please inform me? thanks for asking. You can find all compatible plugins at: https://www.ait-themes.club/wordpress-plugins/#event-guide. Hello! Can a external user add an event? Thanks ! Please kindly also note that Ait-Themes team is ready to help you with any theme-regarding issue: Customer Support is provided during working days from 8am to 5pm Central European Time. If you have not created Ait Themes Club account yet, please use this form: https://system.ait-themes.club/join/tf and post your technical question directly in our support ticket system. Please log in to your account https://system.ait-themes.club/support/ . In general support covers mainly finding of solutions for problems in theme and help users use the product, if there is a bug we’ll fix it as soon as possible. Unfortunately we are not capable working on user’s custom websites. How do I convert/connect this to a mobile app? thanks for your compliments. We are sorry, we have no mobile application tested/created. hi, How to make this Event Guide to APP？ you can do this ? thanks for interesting in Event Guide theme. Hi, i have bought your theme. It is great design and coding, thanks! 1- Can i change the “item” , “events-pro” , etc. words on url rewrite feature? I mean, can i make: “www.xxxxx.com/tour/xxxx ? 2- Do we have agency admin panel? I want to give agencies in different locations. If yes, When i give agency user & pass, what kind of admin panel does he/she see? thanks for purchasing Event Guide theme. I was thinking about purchasing the full membership for 99$. I had one question, is this purchase one time or is it monthly? thanks for interesting in Full Membership package. The subscription is valid for a 1 year and it includes the product updates and access to support forum: https://www.ait-themes.club/full-membership/. After 1 year you are free to decide to prolong or renew your membership at any time for the same price. with Event guide, if users can register and add events, can they create tickets? 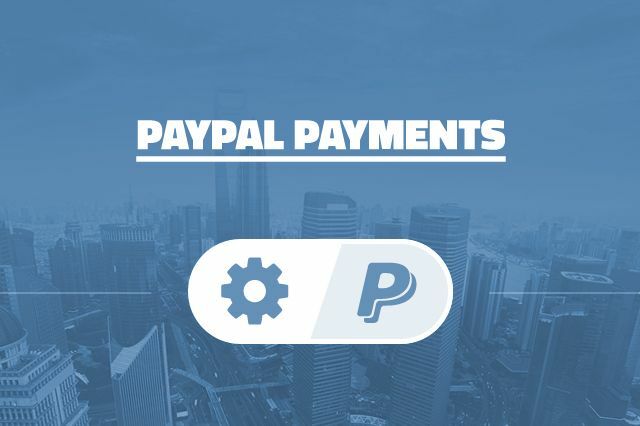 If so, I’m assuming that all payments via woocommerce come to the same Paypal account, , or can they go to the individual directly? 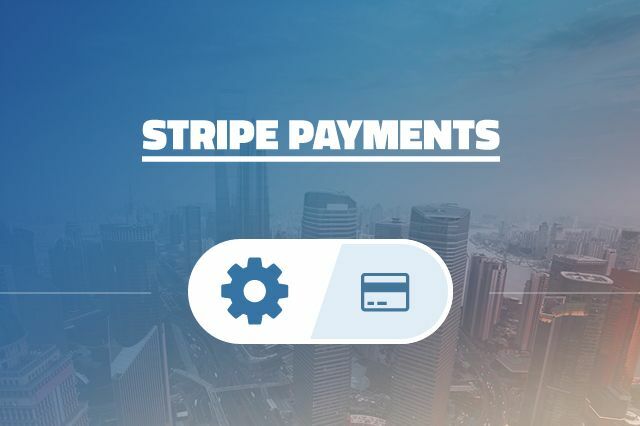 There is another option how to get payments for events – link events pro custom post type with woocommerce product – but in this case events can be managed by admin only. can you please let me know if your theme Event Guide is frontend which allows users to not only register but also list their profiles, events and venues to be displayed on the website publicly. thanks for asking. Event Guide theme doesn’t offer front-end access to user’s profiles. Hi, can you tell me, how can I set up what will dispay on main page Event guide i left down area? Does your themes/plugins support social login (facebook, twitter, google, ert.)? thanks for asking. We are sorry, we have no social login support. Hi, does your themes / plugins support registration and login with Facebook, Twitter or Google? thanks for interesting in our products, Unfortunately there is no such a feature available by default. “EVENT GUIDE WORDPRESS THEME” Türkçe dil özelliği var mı? Bu temayı kullanan örnek referans siteleriniz var mı? sizden bu temayı almış müşteriniz var mı? Temayı kullanan müşteri sitelerinizi İnceleyebilir miyim? “EVENT GUIDE WORDPRESS THEME” Are there any Turkish language features? 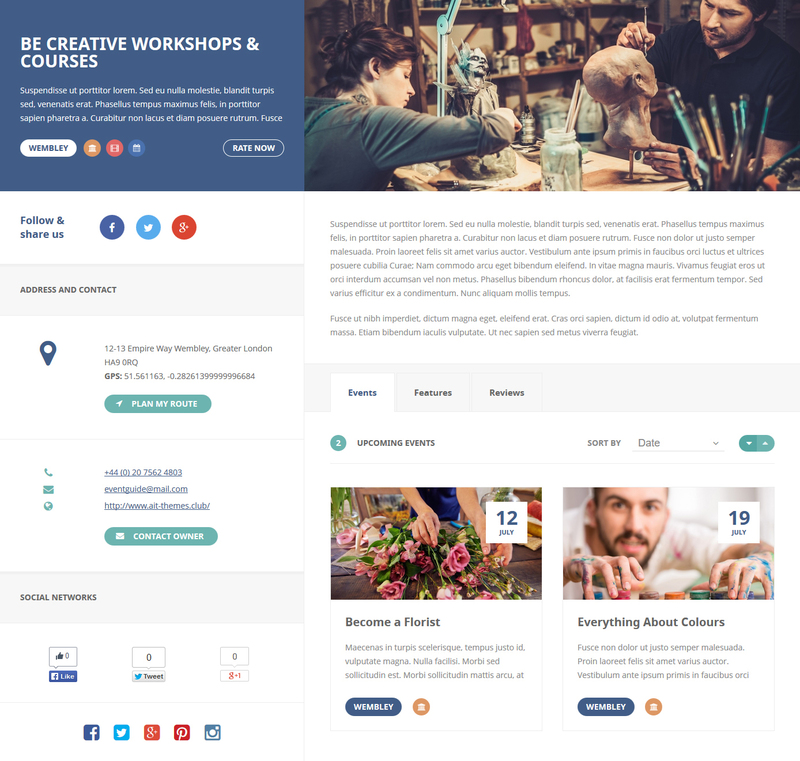 Do you have sample reference sites that use this theme? Do you have any offers from you that have taken this theme? Can I review your client sites that use the theme? thanks a lot for interesting in Event Guide theme. the oldest articles still disappear? or are you now able to stay in the category? We´re having a SSL problem when we try to share any event on facebook. What might by happening? Should your issue still persists, , please provide our Ait-Themes team with AIT SysInfo report: https://www.ait-themes.club/wordpress-plugins/ait-sysinfo/. Our technicians are ready to help you with any theme-regarding issue: Customer Support is provided during working days from 8am to 5pm Central European Time. If you have not created Ait Themes Club account yet, please use this form: https://system.ait-themes.club/join/tf and post your technical question directly in our support ticket system. Please log in to your account https://system.ait-themes.club/support/ . In general support covers mainly finding of solutions for problems in theme and help users use the product, if there is a bug we’ll fix it as soon as possible. Unfortunately we are not capable working on user’s custom websites. How to promote a site in several languages at once-is it possible? Maybe I asked the wrong question. I am interested in-if I fill the content of the site in English, will it appear in search engines in other languages? Hello, My subscription has expired. If I use the events theme and events pro plugin do I have everything I need to create events and sell tickets online? Can you sell the HTML file of this theme ? thanks for asking. We are sorry, we have only WordPress CMS based product, no HTML version. The single theme have all plugins? Once you are intended to get an access to all of our products, please consider Full or Lifetime membership package. I downloaded your free version today and I would like to do several tests before buying it. In your free version, i didn’t have the possibility to create a menu (for instance: With HOME – EVENTS – EXAMPLES. Could you please send me the different steps in order to do that ? I also wanted to see my events with the date like in your demo version but I don’t know how to create it in your theme. Could you also give me the steps to create several events and display it ? Hope it will help you, should you have further questions feel free to contact us back. 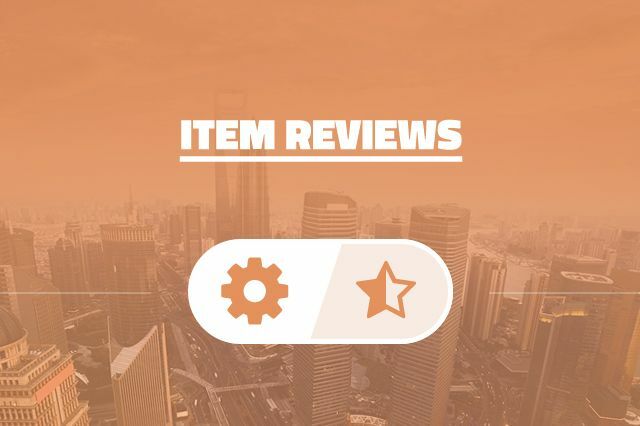 Well, I am contemplating to purchase some themes from you and have been trying to read some reviews for your company & themes, both good and bad . I had a few pre-sale questions which I filled out the form and still waiting for those questions to be answered. Now this got me thinking, when pre-sale questions are not answered, would Support questions go unanswered as well ? In general, support covers mainly finding of solutions for problems and helps to users to find the way how to use any of our products. And if there is a bug we’ll fix it as soon as possible. Our technicians are ready to help you with any theme-regarding issue: Customer Support is provided during working days from 8am to 5pm Central European Time. Obviously we answer within 24 hours. Можно ли заказать у Вас сайт по моему заданию? 1. Are these Child Themes for the Directory Parent Theme? 2. 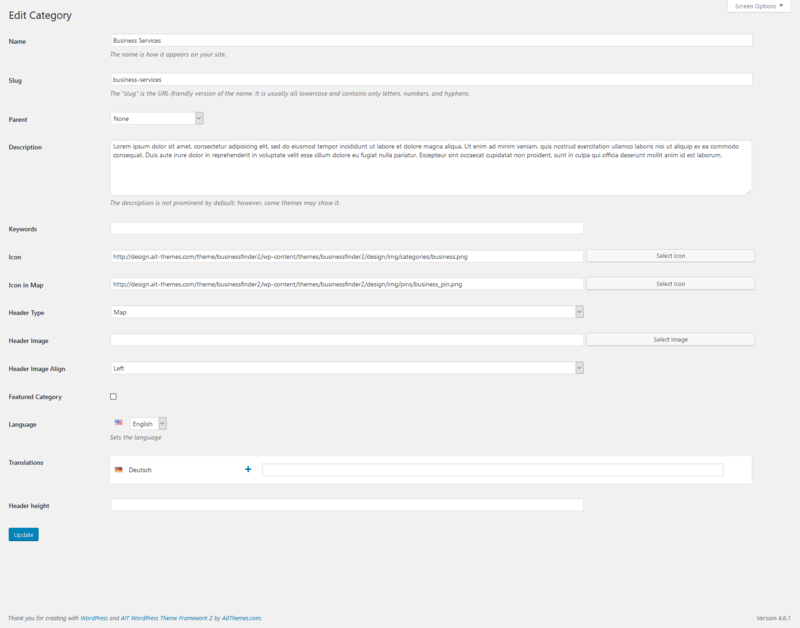 If so, does the Directory Parent Theme come with the Child Themes, if applicable? thanks for interesting in our themes. Trust you are well. I created account in 2016 via alex.karumbo@gmail.com and purchased the event guide theme. Sadly i recently lost all the files and back up’s. Kindly advise on how best ican recover the items seeing that the website promppts me to buy afresh. Is there a license i can renew to recover files without having to purchase? thanks for contacting us back. You should be able to get the latest theme versions (Event Guide) by using AIT Updater plugin for free -> https://www.ait-themes.club/wordpress-plugins/ait-updater/ , the documentation you can find at https://www.ait-themes.club/documentation/#updater-plugin. Are there any plans to allow import of events through the CSV tool? I would really be in need of it, if my business idea is going to work out. thanks for asking. 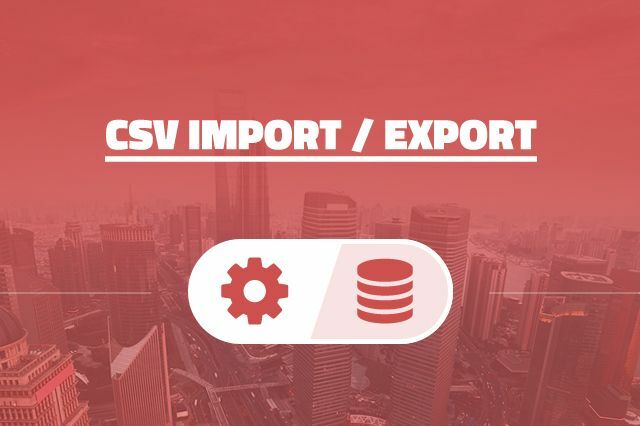 Currently there is no plan to create CSV Import plugin for events. We’ll consider your interesting idea and make decision. Please kindly also note that currently we are working on another projects with the highest priority. I was trying to install the eventguide theme on my local machine. it does not have .zip file. how to install it? If I buy the lifetime membership can I use the pluggins and themes on more than one website? thanks for asking. Yes, no problem. 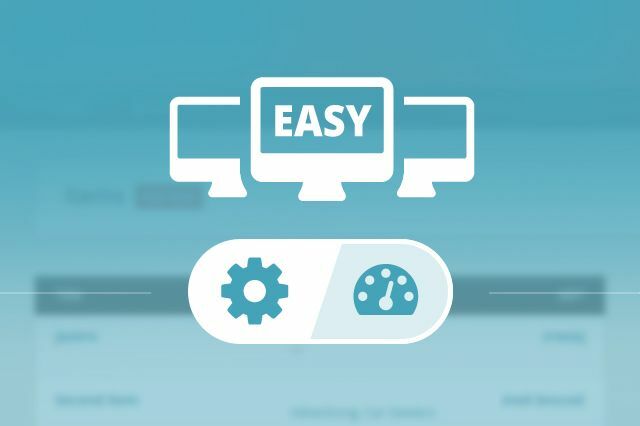 Each of our products comes with unlimited license usage – you can re-use them for unlimited web projects, domains, etc. I had purchased / set up the City Guide theme, but now I see this Event calendar one… how can I switch as I feel this might be better for my needs. thanks a lot for interesting in City Guide theme. Although Event Pro plugin comes compatible only with Event Guide directory theme, we are so sorry, event calendar is not available by default. Hi, I had the Full Membership 2 years ago, and now I want to know how can I get the Lifetime Membership, if I can get a discount or something like that.